Peter Warshall was able to excel in many divergant endevors. He chose to put his multi-faceted talent into bettering the world. I knew him through struggles to protect Mt Graham, interests in biogeography, and work to protect jaguars and other species in eastern Sonora. Any time I read or hear stories about Peter, I learn of another aspect of his work that is surprising and admirable. 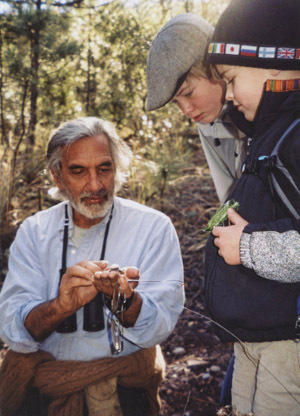 Conservation Biology recently published an obituary for him by Joel Helfrich that is worth reading. Read "Remembering Biogladiator Peter Warshall, 1943–2013" here.